There are many businesses that like the idea of creating an employee handbook or manual on their own without involving a third-party in the process. If you think you may be one of these businesses, we certainly respect your decision and would like to offer a little advice to help you be as successful in the process as possible. When was the template last updated? Was the template reviewed by an attorney? How easy is it to make changes to the template? Also, we recommend that you be careful when using “free” handbook templates or builders. Chances are they are either outdated or there are hidden costs. Of these three options, we recommend that you use an employee handbook template because it reduces how much time you will spend writing the handbook. This reduces your costs while giving you well-written policies that you should be able to rely on. Writing a handbook from scratch is very time-consuming and provides few benefits over an employee manual template. Using an employee handbook from another company may work if the company is from the same industry and in the same state. However, you must be careful to make sure the policies in the handbook from another company are not outdated or poorly written. After identifying the policies you want in your employee handbook, you will need to do some research to make sure your policies are up-to-date and legally compliant. If you are writing your handbook from scratch, this research step will likely take a bit of time because you will need to research each policy separately. If you are using the handbook from another company, you will probably need to do similar policy-by-policy research unless you are confident the policies are up-to-date. If you are using a template that you have verified is up-to-date, you will only need to do research related to any policies you want to change in or add to the template. Most research can be conducted online. Places to look for guidance include state labor department websites, the United States Department of Labor website, or employment law resource websites like ours, EmploymentLawHandbook.com. After you have written and revised your employee manual, you should do a final review to make sure the policies are clearly written and organized. You should also make sure you fix as many formatting and grammatical errors as possible. Once you have finished finalizing the handbook, you will need to decide how you are going to publish it, distribute it, and ensure employees have read it. Although many companies still distribute hard copies of their handbooks, it is becoming more popular for companies to only distribute electronic versions of their handbooks to employees, although this method largely depends on employee access to computers. Regardless, it is important that when distributing your employee manual that you have employees sign a form acknowledging that they have read and understood all the policies in the handbook. This acknowledgment form provides a defense for you against any employee who claims they were not aware of a policy in your handbook. 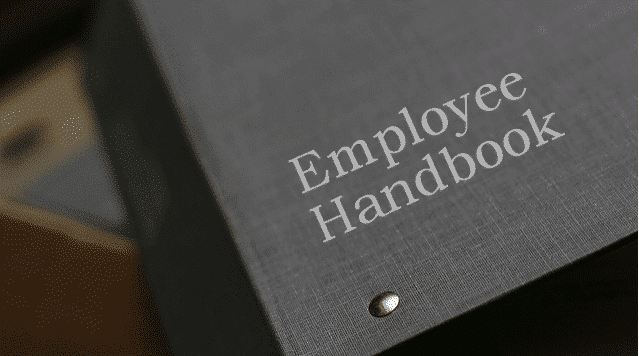 It is possible for you to create an employee handbook on your own. Be aware that the primary problem we have seen with companies creating their own handbooks is that it’s easy to get distracted by other more pressing projects which cause delays in the publication of their handbook. Many times employee handbooks that are started are never finished. These delays may also require these companies to do new research before they publish the handbook to make sure laws haven’t changed. For this reason, we recommend that you make sure you have the time available to start and complete the project with few, if any, distractions. If you decide to build your employee handbook and find yourself struggling to get it finished or if you would like to see just how affordable having a third party create your handbook can be, please don’t hesitate to contact us at The Lunt Group. We are willing to help you at any stage in the creation process of your handbook whether it’s to help you find answers to your questions or assuming control of the project entirely. Can Workplace Gossip Be Eliminated?